Tamoxifen is biotransformed to the potent anti-estrogen, endoxifen, by the cytochrome P450 (CYP) 2D6 enzyme. CYP2D6 genetic variation and inhibitors of the enzyme markedly reduce endoxifen plasma concentrations in tamoxifen-treated patients. Using a North Central Cancer Treatment Group adjuvant tamoxifen trial, we performed a comprehensive evaluation of CYP2D6 metabolism by assessing the combined effect of genetic variation and inhibition of the enzyme system on breast cancer recurrence and death. Medical records were reviewed at each randomizing site to determine whether CYP2D6 inhibitors were co-prescribed with tamoxifen. Extensive metabolizers were defined as patients without a *4 allele (i.e., wt/wt) who were not co-prescribed a CYP2D6 inhibitor. Patients with decreased CYP2D6 metabolism were classified as intermediate or poor metabolizers (PM) based on the presence of one or two CYP2D6*4 alleles or the co-administration of a moderate or potent CYP2D6 inhibitor. The association between CYP2D6 metabolism and clinical outcome was assessed using Cox modeling. Medication history was available in 225/256 eligible patients and CYP2D6*4 genotype in 190 patients. Thirteen patients (6%) were co-prescribed a CYP2D6 inhibitor [potent (n = 3), moderate (n = 10)], resulting in the following CYP2D6 metabolism: extensive (n = 115) and decreased (n = 65). In the multivariate analysis, patients with decreased metabolism had significantly shorter time to recurrence (p = 0.034; adj HR = 1.91; 95% CI 1.05–3.45) and worse relapse-free survival (RFS) (p = 0.017; adj HR = 1.74; 1.10–2.74); relative to patients with extensive metabolism. Cox’ modeling demonstrated that compared to extensive metabolizers, PM had the most significant risk of breast cancer relapse (HR 3.12, p = 0.007). 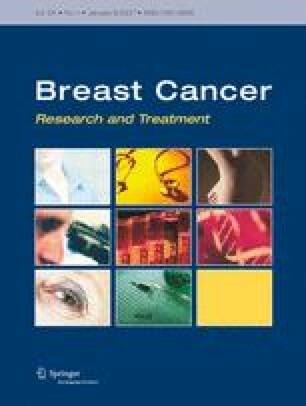 CYP2D6 metabolism, as measured by genetic variation and enzyme inhibition, is an independent predictor of breast cancer outcome in post-menopausal women receiving tamoxifen for early breast cancer. Determination of CYP2D6 genotype may be of value in selecting adjuvant hormonal therapy and it appears CYP2D6 inhibitors should be avoided in tamoxifen-treated women. Supplementary material is available in the online version of this article at http://dx.doi.org/10.1007/s10549-006-9428-0 and is accessible for authorized users. Presented in part as an oral presentation at the ASCO 2006 annual meeting. The authors would like to thank the women who participated in this clinical trial, as well as the NCCTG investigators and clinical research associates at each site who made this translational research study possible. Grant support: CA 90628-03 (MPG), CA-25224 (NCCTG), the Mayo Clinic Breast Cancer Specialized Program of Research Excellence CA116201 (JNI, FJC, MPG, VJS, CR), CA87898 (FJC), Breast Cancer Research Foundation (JMR, EAP), and by U-01 GM61373 from the National Institute of General Medical Sciences, Bethesda, MD, USA (RMW and DAF).